I Took The Breath Test For My DUI, But They’re Saying I Refused. A very common comment we get when doing a DUI consult is about alleged “refusals.” The individual sits down with us, and we note that the citation or report indicates the case involves a “refusal” of the state’s test. A refusal simply means: 1. Your license to drive is or will likely be suspended, even before your DUI case ever gets to Court, and 2. The fact that you refused the test is admissible against you at trial, and in fact raises a presumption that the test would have shown alcohol in your system (so much for the presumption of innocence, huh?). The confusion arises because the client has often submitted to a “breath test” on the side of the road at the scene of their arrest. Then the officer turns right around and asks you (most often by reading off a small implied consent card) to submit to a breath test. Wait. Didn’t I just do that? Why are they asking me to take two breath test, or is it the same on e twice? Something doesn’t seem right. I think this officer is trying to screw me over here; I’m not submitting to anything. Here’s the answer. 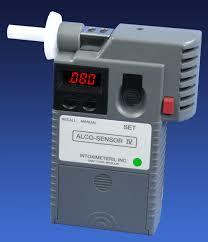 The testing device used “in the field” is a preliminary breath test (Alcosensor). 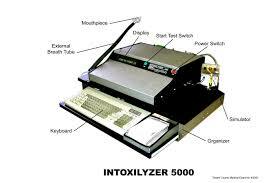 While that device does normally give a numerical BAC reading, that reading is not admissible in Court; instead the officer can simply testify that it showed “positive” or “negative” for the presence of alcohol. It is a part of the field sobriety evaluation, just like the walk-and-turn, one-leg-stand, and horizontal-gaze-nystagmus test. Still, though, two different types of breath tests? Likely performed by the same officer? After having consented to all his other tests? It can get confusing. The officer likely read that to you, verbatim, after you had just been placed in handcuffs, and after you had just taken a “breath” test, and then informed you that you were under arrest. Any questions? Too bad, I need a “yes or no” answer, please. Still confused? Mark it as a refusal. Yes, it really happens that way. While you are free to refuse to perform any field sobriety evaluation requested by the officer, a refusal of the “state administered test” will likely result in a license suspension lasting a full year. So, Georgia has taken one of the most restrictive penalties of a DUI offense (license suspension), duplicated it in a non-criminal setting, so that you have no presumption of innocence, and hinged it all on the reading of a card to you during what is likely one of the most stressful moments of your life. Keep in mind that the officer will not answer questions about what he read to you, nor address the fact that you just took a “breath test.” The sales pitch on why this is okay is that “driving is a privilege, not a right,” which conveniently ignores the fact that, especially here in the South, where we’re a little more spread out, driving is a necessity. Well then, you shouldn’t be drinking and driving, right? Dang, there’s that pesky presumption of innocence thing again. Your right privilege to drive is gone. No trial, no conviction, no BAC, just based on “officer observation” and your confusion. Though it doesn’t happen often, it is occasionally possible to show the Court that the officer misled or confused you with regard to the breath test, and exclude your refusal from your criminal trial, but even that result will not likely address the “administrative” suspension of your license which is already in place. The other dirty secret is that getting to trial on your DUI criminal case can often take up to (or more than) 12 months, so by the time you get there, you’ve already served your whole suspension. What can I do? Well, you need to file your Administrative Appeal (often called a 10-day letter) immediately (the DDS charges $150 for this). Filing this appeal will set a hearing date. At this hearing an administrative judge will hear evidence on whether the officer followed certain procedures with regard to your case, implied consent, any alleged refusal, etc… The standard of proof is much lower, though, and this is not a trial of whether you impaired, but only whether the refusal (or per se) suspension should go into effect. If nothing else, the Administrative hearing will give you and your attorney a brief preliminary peek into what the officer’s testimony will likely be at the criminal trial. People often ask “Should I refuse the test?” There is no good answer for that, as there are too many variables to consider. The point of this article, though, is to clear up any misunderstanding: If the officer is holding the testing device in his hand on the side of the road, it is not the state administered test (Breathalyzer). 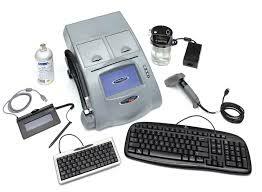 It is merely a preliminary breath test (Alcosensor), which is part of this in-the-field sobriety evaluation. Don’t let that confusion cost your license. If you have questions regarding a DUI, Marijuana, or other criminal case in Georgia, particularly in Hall, Forsyth, Jackson, Gwinnett, or Dawson Counties, please feel free to contact us. You can reach us at 770-538-5160, or simply fill in the contact form on this website.